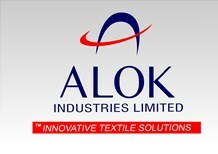 We, at Alok, have always been strongly convinced about the prospects of the Indian textile and apparel sector. The Indian Textile Industry is now on the threshold of unprecedented growth and it will not be an exaggeration to state that this decade (2011-2020) belongs to our Textile Industry. This view is shared by Technopak, leading Textile consultants, who in their recently published Report state that while the Global Textile Trade is expected to grow from USD 510 bn (2009) to USD 1000 bn (2020), the Indian Textile Industry during the same period would more than treble from the present size of USD 70 bn (around USD 47 billion domestic and USD 23 billion exports) in 2009 to USD 220 bn (around USD 140 billion domestic and USD 80 billion exports) by 2020. Growing domestic Per capita income, growth in population, improving demographics, increased penetration of organised retail, etc is likely to boost the consumption of textiles in the domestic market. In their 2nd Technopak Leadership Forum (Textile & Apparel) held on 3 September 2010 in Mumbai, Technopak released an Industry Report titled “Indian Textile and Apparel Compendium 2010”. This Report details Indian domestic textile and apparel industry, current domestic market size, market segmentation for apparel, future projections for 2015 and 2020 for domestic and exports market, investments required in this sector over next 10 years etc. According to this Report, this decade is expected to be the brightest ever for Indian Textile and Apparel Industry and size of this Industry is estimated to be around USD 220 billion in the year 2020. Arvind Singhal (Chairman, Technopak) also delivered a presentation during the Forum titled “Indian Textile and Apparel Industry: Brightest Future Ever”. This presentation includes the changing face of global textile trade, growth opportunities for India and thoughts to make the next decade best ever for the Indian textile industry. It is our pleasure to share with you these two Reports on the Textile and Apparel industry of India. Hope you will find them insightful and informative. We shall only be too glad to provide you with more information / clarifications on this matter.